With a reputable history of providing the best commercial vehicles for Filipino businesses, Isuzu is geared up to make it easy for Lalamove drivers to upgrade or acquire Isuzu vehicles. 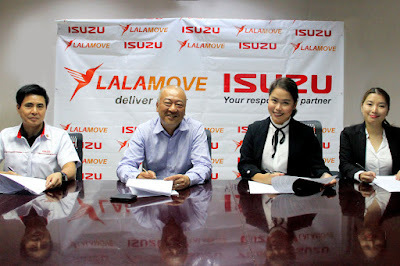 This partnership entails both discounts for all existing Lalamove partner drivers with free 3 years of LTO registration. With a cash discount of P 15,000 and P 20,000 worth of Preventive Maintenance Services coupons, drivers will have a beneficial head start for their Lalamove journey.